Electrolux has appointed Lars Erikson as new Head of Group Design effective immediately. He replaces Stefano Marzano who recently retired, and reports to Jan Brockmann, Chief Technology Officer, on a Group Management level. Erikson has had a 25-year career at Electrolux working in leading design roles around the world for both the Major and Small Appliances Sectors. 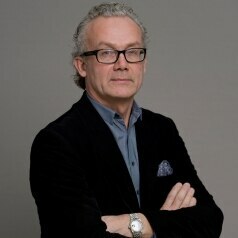 He was most recently Vice President of Global Product Lines and Pre-development for Group Design in Stockholm. Erikson joined Electrolux in 1988 and has held various roles including Head of Design in Asia Pacific and Head of the Global Floor Care & Small Domestic Appliances Design team in Stockholm. During this time he has developed and implemented a design strategy for Major Appliances Asia Pacific. He was also responsible for leading the design development for profile products including the Jeppe Utzon barbecue and the Aurora induction cooktop. “I believe good design expresses more with less. I look forward to working with our global and regional design centers to drive the development of products that are a pleasure to use, attractive to look at and go beyond consumer expectations,” Erikson said.